I’m starting with a “stop” at one of my all time favorite spots in Paris, Aurelie Bidermann. It is right next to the hotel I usually stay in Paris, in St. Germain des Pres, & it is literally a tiny jewel box of a store. They always have the friendliest staff and an array of beautiful jewelry pieces at all price points, from relatively inexpensive costume pieces to fine jewels. 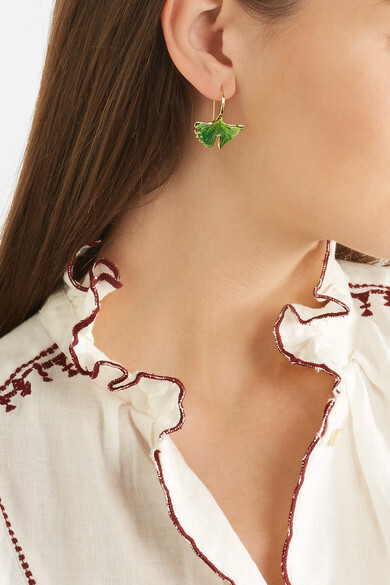 I ADORE her big chandelier earrings, but since I’m going to have shorter hair this Spring, I think I’m going to go for these more delicate earrings below…. Aurelie is Paris-based but has great shop in Soho (NYC) too and is intrepid traveler, which comes through in the worldly influences evident in all her pieces. I love her bracelets too! 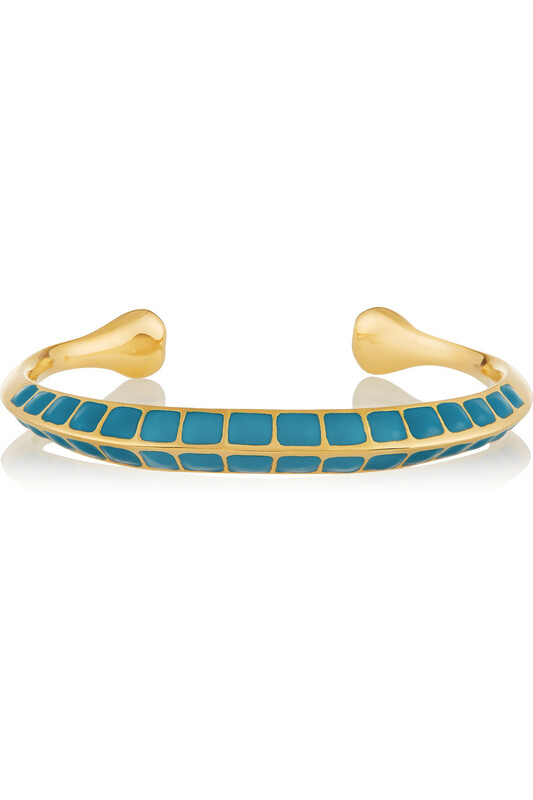 Especially the sky blue cuff…..
Click on the photos to shop the pieces! You’ll notice that the links I included here take you to various sites beyond her online shop, which I did for 2 reasons. 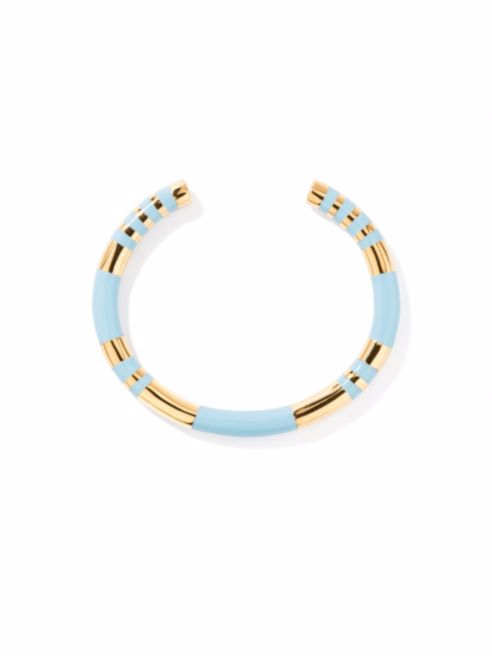 One, you can find her pieces on sale at various other sites online, and two, her online shop has that kind of European website feel that is not as fast or intuitive for American shoppers….so you’ve got options! My second “stop” in Paris for Spring shopping is a relatively new brand, Sezane. 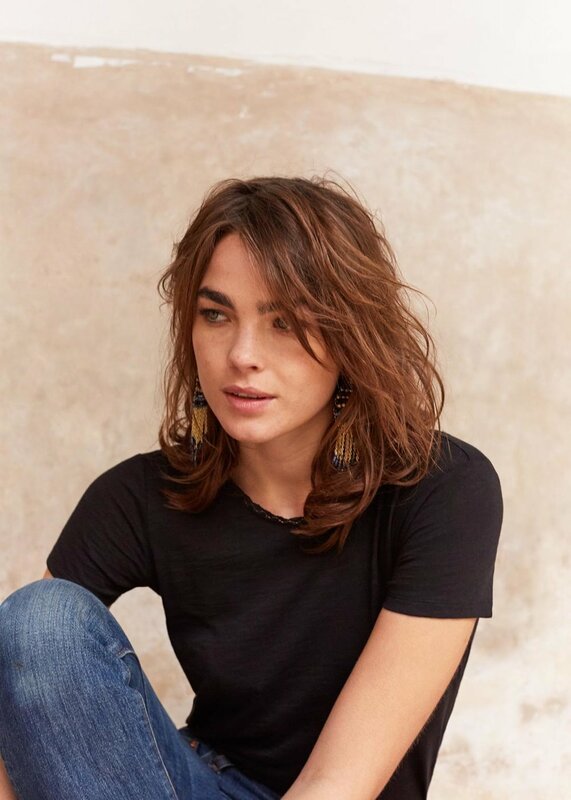 Founded by Morgane Sezalory, this is the first French brand to exist soley online - no shops or intermediaries (and 15-day return policy so you’re not stuck if the items aren’t right size). While a lot of the pieces are more girly than my style (most of her dresses would be shirts for me! ), I appreciate the little French details in her approach. I think that the T-shirts escpecially would be great style upgrade — I love my James Perse & JCrew tee’s but it’s time for something different! I also like the silk Rivera blouse which seems like at least a 3-season staple that can be dressed up or down & is not the same Joie or Tory Burch top that everyone else might have…. and enjoy all the visual riches and inspirations in this creative French brand.